US giant Jacobs Engineering has won a three-year contract to work on Yanbu Aramco Sinopec Refining Company‘s (Yasref) oil refinery in Saudi Arabia. The deal covers general engineering services to ramp up production at Yasref‘s plants in Yanbu Industrial City, which sits on west coast of Saudi Arabia‘s Red Sea. The value of the contract that Jacobs Engineering won through its Saudi Arabian-based subsidiary, Jacobs Zate, was not disclosed. 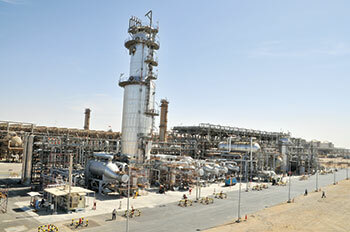 Under the terms of the agreement, Jacobs will deliver engineering services, front-end engineering design (Feed), procurement, construction management, commissioning support, and handover work for a portfolio of Yasref projects at the refinery. The main project at the Yanbu Industrial City is the full conversion refinery, where Yasref uses 400,000 barrels per day of heavy crude oil to produce fuel for vehicles, as well as refined products. The facility came on stream in 2014. Yasref is a joint venture (JV) between Saudi Aramco and China Petrochemical Corporation, and is part of Saudi Arabia‘s long-term strategy to supply domestic and export markets with a steady flow of refined products and fuels. David Zelinski, Jacobs‘ energy, chemicals, and resources vice president, and the company‘s general manager of Europe, the Middle East, and Africa, said the contract win strengthened the project management contractor‘s position in the kingdom. "We bring access to a full-spectrum technical professional services firm to the west coast of the kingdom while growing our presence in the country," he said. Jacobs has been an ever-present force in the Saudi Arabian market for more than four decades, working with some of the biggest names in the country, including Saudi Aramco, Saudi Basic Industries Corporation (Sabic), and the Saudi Arabian Mining Company (Ma‘aden). Earlier this year, Jacobs won what it called a "landmark" contract with state-owned Saudi Aramco to project manage the Zuluf oil and gas megaproject that will eventually produce up to 600,000 barrels of crude oil per day. Meanwhile, as Saudi Aramco eyes global downstream expansion to fuel its growth, its options to do so in the US through its Motiva Enterprises LLC subsidiary may be limited at a time when asset valuations may increase, experts say. As it plans to nearly double its crude oil refining capacity and petrochemical production, the state-run company is preparing for an IPO that analysts expect to be the largest in history, with Saudi officials targeting a $2 trillion valuation for the state-owned company. Kingdom officials have earmarked the proceeds to fund the diversification of the Saudi economy. Saudi Aramco’s planned downstream expansions come as the oil majors have been moving away from the integrated business model, where companies both produce oil and refine it. In the US, the rise of independent refiners, culminating most recently with Marathon Petroleum Corp’s planned acquisition of Andeavor, started with refining assets that integrated oil companies had spun off or sold to smaller independent refiners.